Risotto is a marvelous Italian side dish of creamy rice. 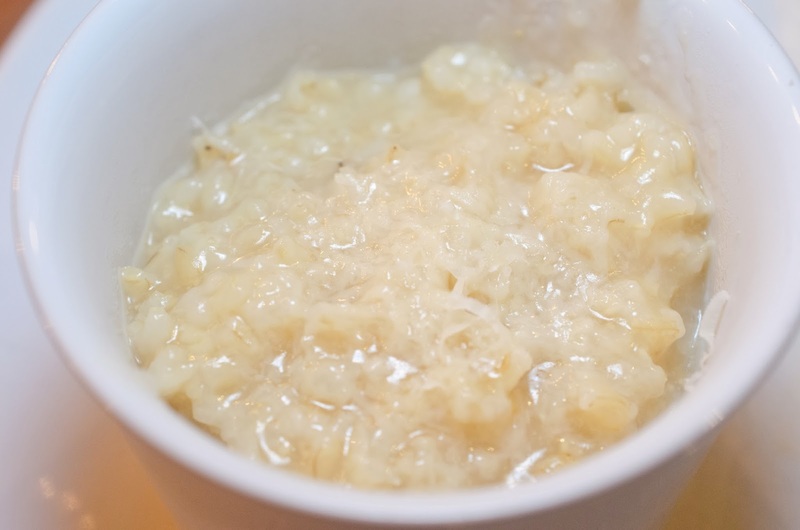 What is truly wonderful about risotto is the creaminess isn't from cream. 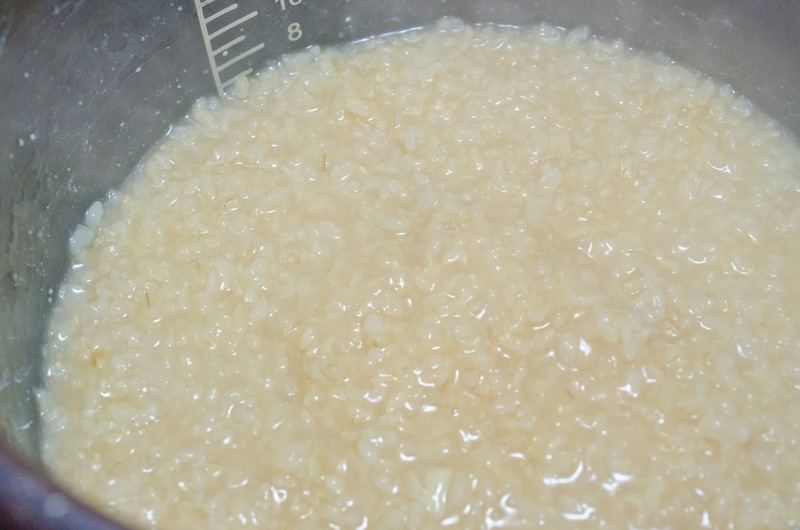 The starch within Arborio rice (or medium grain rice) is released while it is cooked in chicken stock. That is what creates the rich creamy taste. This recipe came about as a way to use left over steamed brown rice. My method is by no means authentic to true Risotto and I didn't even use Arborio rice, so I'm sure my non-existent Italian grandmother is upset with me again. Look at how creamy it is. 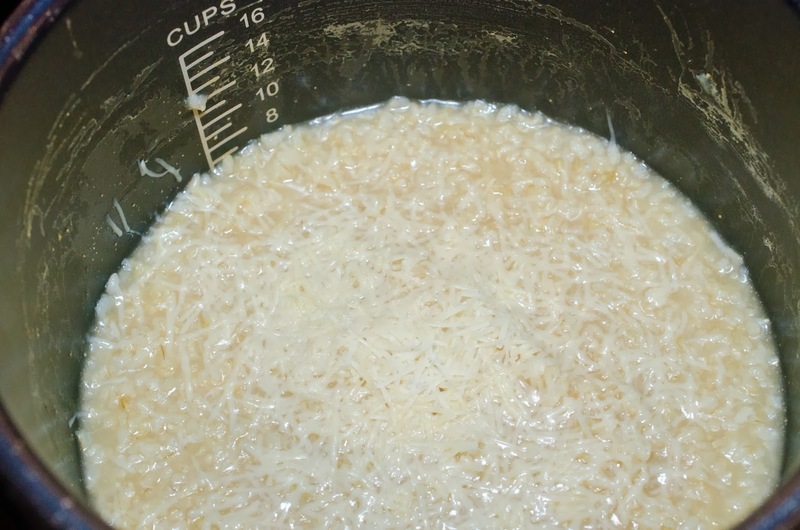 Place rice, water, bouillon and garlic in Pressure Cooker pot. Set pressure cooker to high for 6 minutes. 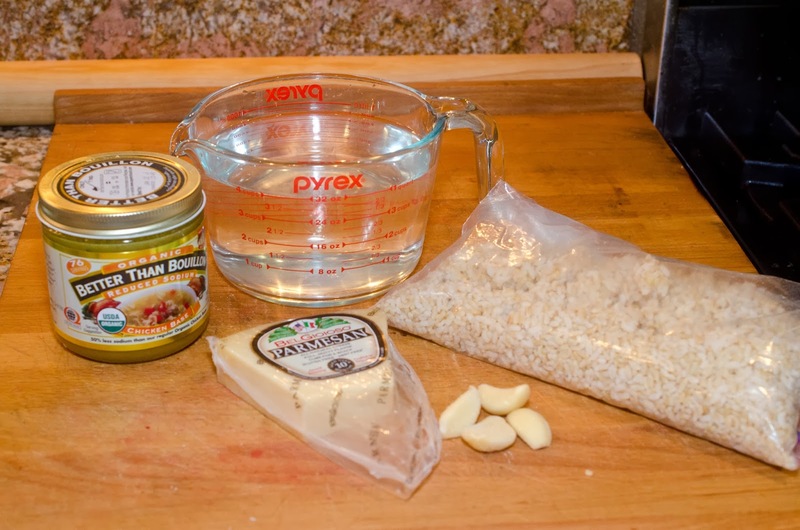 Serve risotto, adding parmesan to individual servings. After the cooking time has ended and pressure is allowed to naturally release add 1/2 cup parmesan and stir. This is such an easy recipe and a great use of leftover rice!